Emotional (or mental) abuse is a topic which is very little talked about, yet very common and an issue that could touch anyone at any point in their lives. There is no age limit to typical emotional abuse victims. 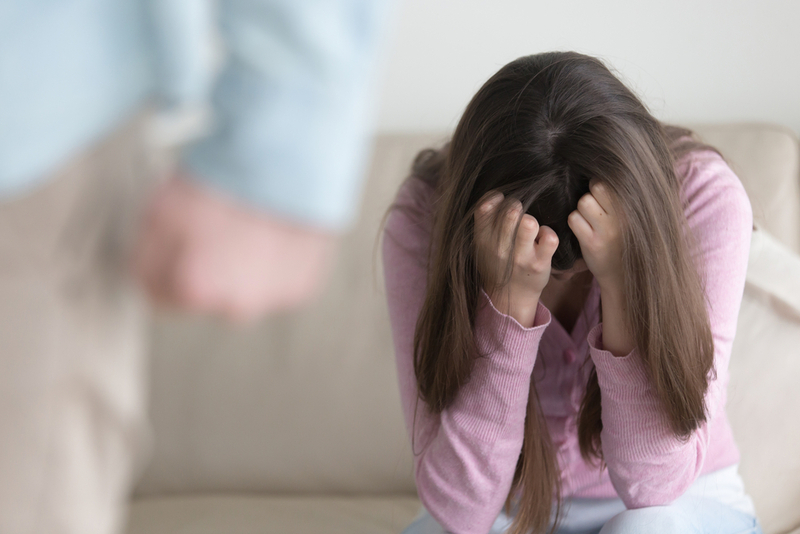 We have worked with child, teen, and adult victims in this field and seen the destructive consequences this kind of abuse can have on relationships as well as self-esteem and emotional strength. The fact that victims of mental abuse don’t carry physical marks doesn’t make the abuse any less severe or real to the victim. One way of defining emotional abuse is “any act, including confinement, isolation, verbal assault, humiliation, intimidation, infantilization, or any other treatment which may diminish the sense of identity, dignity, and self-worth.” Mental and emotional abuse is also known as psychological abuse or recurring verbal violence. Patients who come to us as victims of psychological abuse most often have lost a big part of their self-esteem, display clear signs of personality changes, and in severe cases can become depressed, anxious, and sometimes foster suicidal thoughts. While it happens quite often that outsiders have no doubt of the abusive dynamic in a relationship, the victims tend to be aware that something is amiss, yet they’re usually not quite able to determine what it is themselves. No matter in what relationship the abuse takes place, the dynamic is usually the same. It occurs in cycles. Typically, the abuser will feel the urge to demonstrate dominance, gain power, and feel in control over their other. They will create a situation in which they verbally threaten, manipulate, publicly embarrass, or criticize the victim commonly followed by a phase of “normal” – or even extra caring – behaviour as if the abuse had never taken place. However, the wrongdoing and hurt doesn’t get acknowledged and the abuser ultimately returns to the place of feeling the need to dominate again. In many situations, the victim is a very intelligent, strong individual, but over time they are told that they are the cause of their partner’s upset. The victim will stay longer in a relationship, thinking if they just do as their partner asks, they can return to the happiness they had at the beginning of their relationship, when things were perfect. This cycle is very powerful and sometimes it hard to see that you are in it until things get very distressful. Depending on the extend of the abuse and considering the victim’s symptoms, leaving the destructive environment may be the only option to avoid further psychological harm. At an early stage of emotional abuse, other options may be available to break the harming cycle. Couples counselling, as well as individual counselling, can offer significant support on a path to either changing the dynamic of an unhealthy relationship or gaining strength to stand up against the abuse.